SUPER SHARP!!! 2-4 INCH LIFT!! FACTORY WARRANTY! 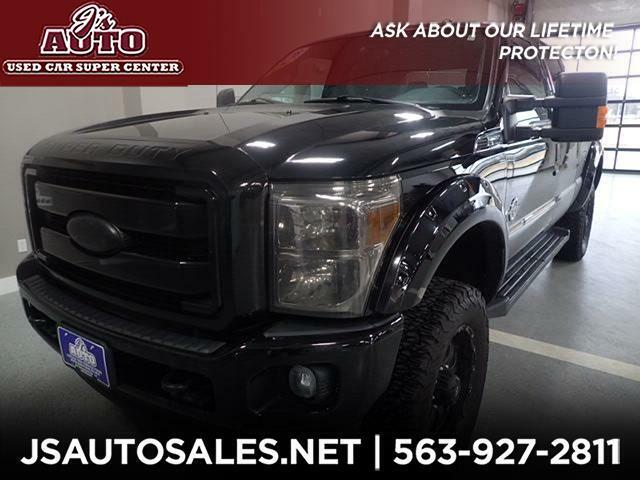 A MUST SEE, don't miss our SHOW STOPPING 2016 Ford F-250 XLT Crew Cab 4x4, with ONLY 37,796 MILES. Has an awesome lift kit, custom stripes, aftermarket wheels, running boards, spray-in bed liner, remote start, back up camera, and much more. Even includes remaining FACTORY WARRANTY. YOU DEFINITELY DON'T WANT TO MISS THIS ONE, and these lifted trucks are a HOT SELLER so don't wait. Call or email our trusted, locally owned & operated dealership, here at J's Auto TODAY!